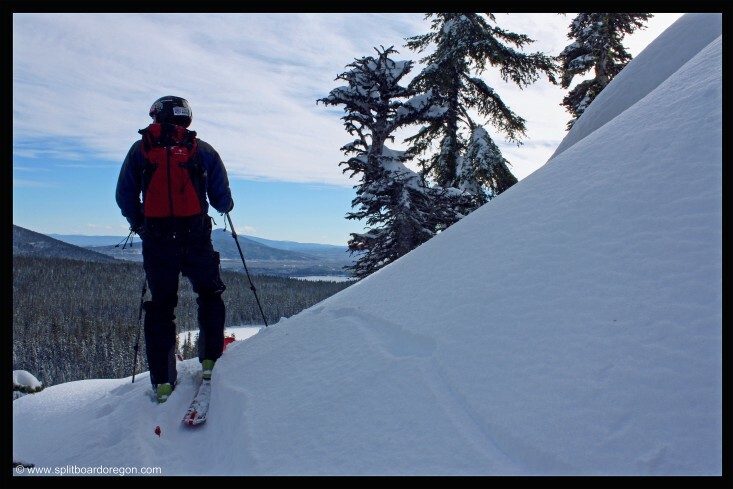 Snowy skies returned to the Willamette Pass area of the Oregon Cascades, and fresh tree runs were the reward for a bit of skinning…. 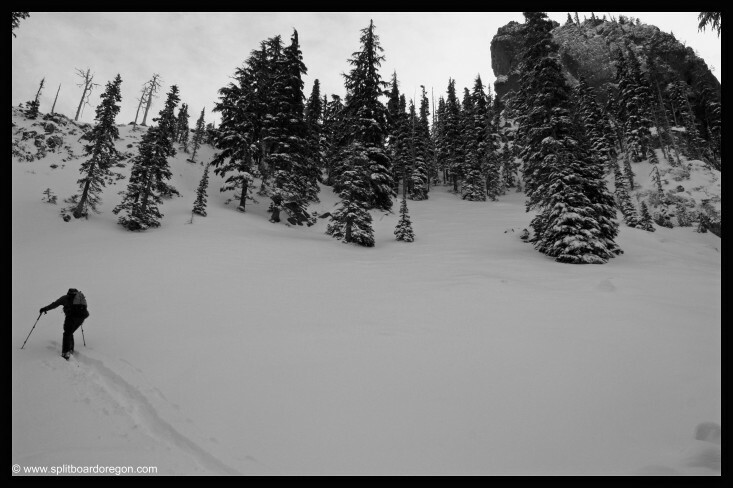 Todd and I decided the lure of fresh snow was more attractive than a day at work, so we headed up to the Pass to check out the conditions, and they didn’t disappoint. We loaded the EPA chair shortly after nine and made a few primo runs on the backside. 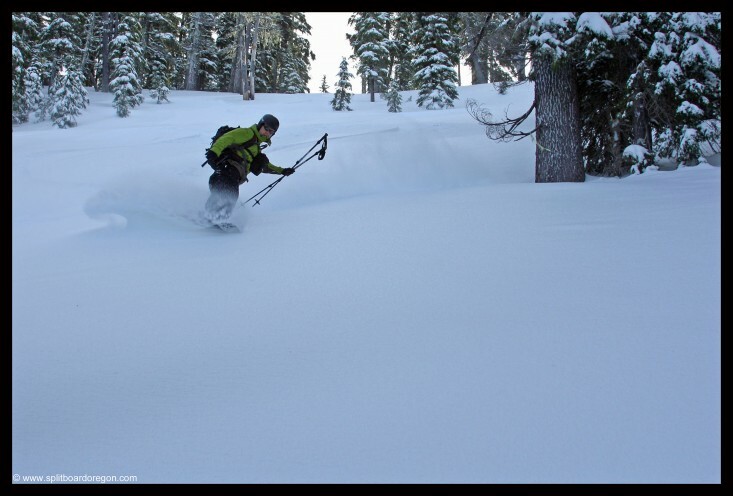 The snow was super light smoke and about 8 inches deep. After an hour or so, we skinned out to West Peak. I got a chance to test out my new Karakoram setup, and the bindings were pretty awesome! The weather was bluebird, and within about 10-15 minutes we were at our destination. We rode down through the trees, finding some playful drops along the way. The coverage was decent, but a few more feet wouldn’t hurt. Near the bottom, we traversed around back to the ski area. 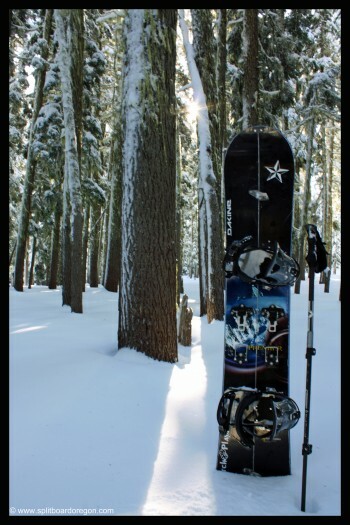 I took the below photo of my new binding setup before we got back to the Peak 2 chair…. We hopped back on the lift, rode to the top, then skinned out to Pulpit Rock. The snow near Pulpit was really nice, and we were ready to drop shortly after arrival. The turns down for the first run were sweet, the snow was super cold and nice, and about an 1/2 inch of surface hoar gave it a nice hissing sound. Down at the bottom, we skinned around Pulpit to the east to check things out. The snow on the east side wasn’t quite deep enough for our liking, but the views of Maiden Peak and the Rosary Lakes were awesome. 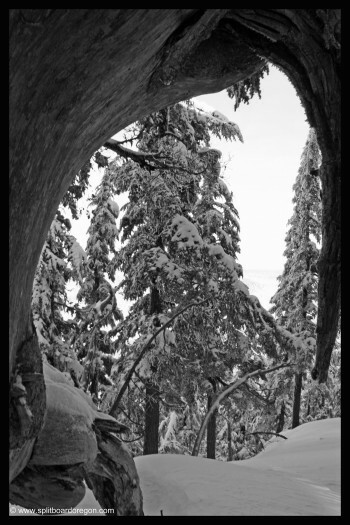 The below photo shows Todd skinning below Pulpit…..
We decided not to drop the east face, and instead skinned back to the west to run another lap in the well covered trees. The snow was again perfect! 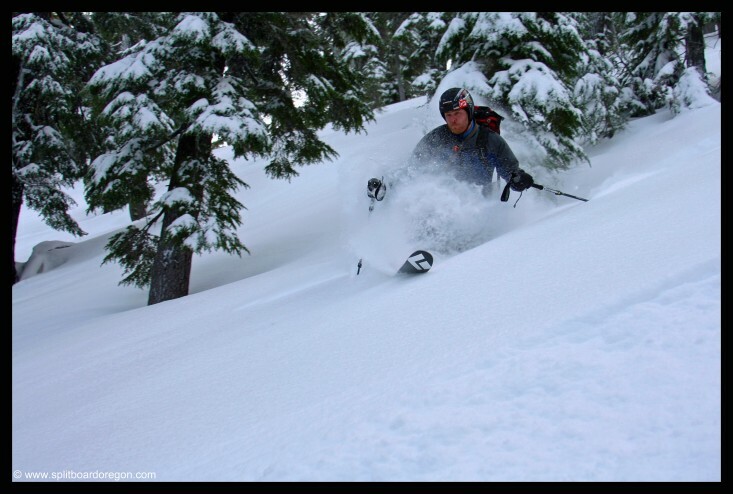 We skinned back up and out to the backside of the Pass, then proceeded to make some more pow turns in the trees on the backside, before finishing the day off with a run down SDS. Beers and burgers in the bar followed before the drive home. It was a great day at the Pass, and a whole lot better than work!